Home / WHEN’S MY BIRTHDAY? 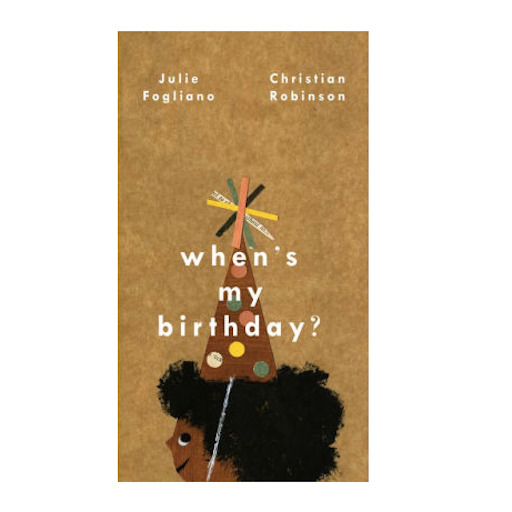 In this enthusiastic celebration of all things BIRTHDAY, acclaimed author Julie Fogliano and award-winning illustrator Christian Robinson bring you the perfect birthday book! Join our excited narrator as she lists all the things that will make her birthday the BEST birthday. when’s my birthday? where’s my birthday? how many days until my birthday? i’d like a pony for my birthday and a necklace for my birthday. i’d like a chicken for my birthday. i’d like a ball to bounce and bounce. i’d like a big cake on my birthday with lots of chocolate on my birthday and lots of candles on my birthday 1,2,3,4,5, and 6!